Margie Yohn grew up on a farm in central PA and has been a resident of Lebanon County since 1997. She graduated from Bloomsburg University in 1985 with a degree in Computer Information Science and moved to Lancaster for a programming job. From there, she discovered the exciting field of Real Estate and marketing and in 2002 opened her own marketing business. Margie is very active in several community and non-profit organizations. In 2004, she founded the Palmyra Area Business Association and served as President of that organization for 7 years. 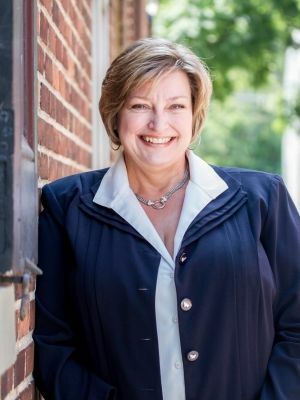 She’s active on several committees in the Lebanon Valley Chamber of Commerce and served as Chairman of the Board in 2014. Her farm upbringing led to an interest in conservation, sustainable living solutions and volunteer work with the Lebanon Valley Conservancy. In 2014, the family welcomed her mother into their home in order to care for her as she dealt with declining health issues due to dementia. Along with a strong business and marketing background, Margie recognizes that real estate is a people business. For most folks, buying or selling a property is a serious and life-changing decision. She has the knowledge, experience and tools necessary to assist buyers and sellers, taking care of details and deadlines through to a successful closing. Thanks to her own life-changing event with her mother, she has a special interest and first-hand knowledge on helping the senior population with housing transitions. She lives on a solar-powered 4-acre farmette north of Palmyra with her husband of 20 years, Kevin, their teenage sports-minded son, Jake, her cheerful mother, 2 old horses, 3 mean chickens and an energetic Labradoodle, Zeke.